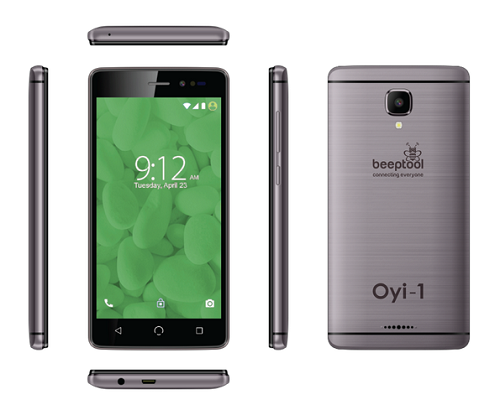 Before you order for the BeepTool Oyi-1 $1 (N500) Android smartphone posted earlier, please read the terms and conditions below. number 4 & 5 tho. what concerns them if I don’t browse with it. I knew it. I knew there just had to be a catch. Na wa for this guy’s o. What they’re requesting for is quite much. Nigerians are fond of not reading terms and conditions of goods or services. Nothing in life is really free. In otherwise, this is Data selling machine. Nonsense. I will rather continue saving the 800 to buy the real smartphone. As you hear #500 you should know something must be attached to it. Na wa oooo, too much conditions , just to buy a five hundred naira phone..
with all this T&C, just tell us u want to remotely control the users…. The not in there right senses. They want to make cheap phones available to people that feed on $1 dollar or less per day and expect them to subscribe monthly with more than the amount they bought the phone. custom rom will be available for it. But if we can root it, then we can uninstall that their monitoring spirit. The only thing that will never let me to buy it is that : It is a monitoring spirit. Let them release it first..we shall see. Everyone heard 500 for a phine, we all want to buy, but you guys don’t want to stick with the T&C, they are not charity organization na. LoL… I am surprised people are more concerned about the monthly data cost instead of the real issue which is privacy. For $1, you are selling your privacy. The phone can even automatically install apps and show ads. For me, it’s a no-no. I will rather buy this phone…. Since the T&C said for two consecutive months… Then I’ll save 400 month and recharge or subscribe every 2months… Besides even other phone display ads without your consent…. How Much do You Think This HP 6GB Ram Laptop Will go For Come 26th – 27th of Nov?